1.3 In this notice, “we”, “us” and “our” refer to ELE Global Limited. For more information about us, see section 8. 2.2 We may process your account data (“account data“). The account data may include your name, postal address, telephone number and email address. The source of the account data is you or your employer. The account data may be processed for the purposes of providing our services, ensuring the security of our services, maintaining back-ups of our databases and communicating with you. The legal basis for this processing is the performance of a contract between you and us and/or taking steps, at your request, to enter into such a contract. 2.3 We may process your personal data that are provided in the course of the use of our services (“service data“). The service data may include your name, postal address, telephone number and email address. The source of the service data is you or your employer. The service data may be processed for the purposes of providing our services, ensuring the security of our services, maintaining back-ups of our databases and communicating with you. The legal basis for this processing is our legitimate interests, namely the proper administration of our business and provision of marketing services relevant to your field of professional interest. 2.4 We may process information relating to transactions, including purchases of goods and services, that you enter into with us (“transaction data“). The transaction data may include your contact details, your bank details and the transaction details. The transaction data may be processed for the purpose of supplying the purchased goods and services and keeping proper records of those transactions. The legal basis for this processing is the performance of a contract between you and us and/or taking steps, at your request, to enter into such a contract and our legitimate interests, namely the proper administration of our business and provision of marketing services relevant to your field of professional interest. 2.5 We may process information that you provide to us for the purpose of subscribing to our email notifications and/or newsletters (“notification data“). The notification data may be processed for the purposes of sending you the relevant notifications and/or newsletters. The legal basis for this processing is the performance of a contract between you and us and/or taking steps, at your request, to enter into such a contract, and our legitimate interests, namely the proper administration of our business and provision of marketing services relevant to your field of professional interest. 2.6 We may process information contained in or relating to any communication that you send to us (“correspondence data“). The correspondence data may include the communication content and metadata associated with the communication. The correspondence data may be processed for the purposes of communicating with you and record-keeping. The legal basis for this processing is our legitimate interests, namely the proper administration of our business and provision of marketing services relevant to your field of professional interest. 2.7 We may process data relating to your clients and employees. This data may include their contact details, their card details and their transaction details. The source of this data is as provided by you. This data may be processed for the provision of services, as set out in our contract with you. The legal basis for this processing is the performance of a contract between you and us and/or taking steps, at your request, to enter into such a contract. 2.8 We may process any of your personal data identified in this notice where necessary for the establishment, exercise or defence of legal claims, whether in court proceedings or in an administrative or out-of-court procedure. The legal basis for this processing is our legitimate interests, namely the protection and assertion of our legal rights, your legal rights and the legal rights of others. 2.9 We may process any of your personal data identified in this notice where necessary for the purposes of obtaining or maintaining insurance coverage, managing risks, or obtaining professional advice. The legal basis for this processing is our legitimate interests, namely the proper protection of our business against risks. 3.2 We may disclose all areas of personal data set out in section 2 to our suppliers or subcontractors insofar as reasonably necessary for the performance of a contract between you and us and/or taking steps, at your request, to enter into such a contract, and our legitimate interests, namely the proper administration of our business and provision of marketing services relevant to your field of professional interest. 4.2 Your personal data will be stored on servers owned by Zoho Corporation, in USA. Zoho Corporation participates in and has certified its compliance with the EU-U.S. Privacy Shield Framework, with respect to transfer of data to the U.S. Zoho Corporation has also demonstrated its commitment to data privacy and protection by meeting the industry standards for ISO 27001 and SOC 2 Type 2. 5.1 This section 4 sets out our data retention policies and procedure, which are designed to help ensure that we comply with our legal obligations in relation to the retention and deletion of personal data. (e) Correspondence data will be retained for a minimum period of 1 years following 25th May 2018, and for a maximum period of 10 years following 25th May 2018. (a) the period of retention of all other category of data will be determined based on reasonable need and the legitimate interest on which the data is being held. 6.4 You should ensure that your passwords used to access our software and IT systems are not susceptible to being guessed, whether by a person or a computer program. You are responsible for keeping the passwords confidential and we will not ask you for your passwords (except when you log in to our software and IT systems). 7.1 We we publish changes to this notice on our website at www.eleglobal.world. 7.2 We will notify you of any changes to this notice which may affect you by email or post. 8.1 In this section 7, we have summarised the rights that you have under data protection law. Some of the rights are complex, and not all of the details have been included in our summaries. Accordingly, you should read the relevant laws and guidance from the regulatory authorities for a full explanation of these rights. 8.13 You may exercise any of your rights in relation to your personal data by written notice to us, in addition to the other methods specified in this section 7. 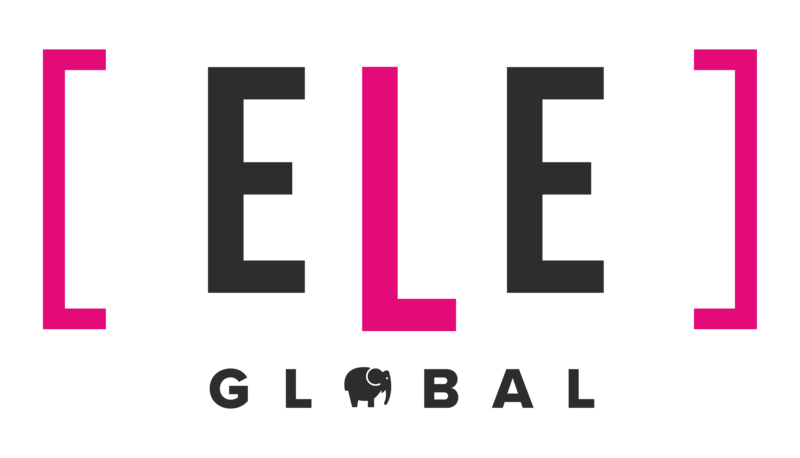 9.1 Our full legal name is ELE Global Limited. 9.2 We are registered in England and Wales under registration number 11886726, and our registered office is at Edge House, UB1 Vantage Office Park, Old Gloucester Road, Hambrook, Bristol, BS16 1RS. 9.3 Our principal place of business is at The Office, The Bungalow, High Street, Northleach GL543EU.